Do you know the way to Shangri-La? 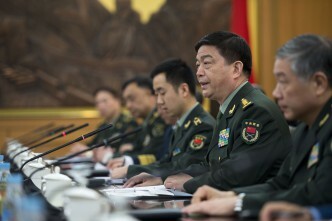 The Asian security dialogue is about verbal jabs and thought balloons. And policy signalling and point scoring. And, ideally, some meeting of minds, reaching towards actual agreement. The Shangri-La Dialogue in Singapore, the 14th Asia Security Summit, had plenty of the usual show and shove. Compared to the last couple of years, though, the verbal biffo from the Chinese delegation was dialed down a few notches. Having been busy creating new geographic features in the South China Sea, terraforming with mountains of sand, the Chinese at Shangri-La seemed keen to judge the effect of their recent show, rather than do much shoving. What response would they get to their fast build towards a fait accompli? The leader of the Chinese delegation was a Navy man, so they came prepared. 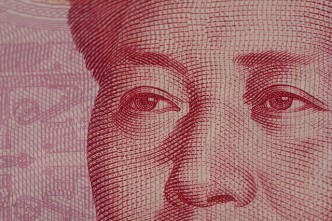 The relative calm of China’s pushback suggested a certain comfort with the jabs they got. The shoving from the ASEAN side was as vigorous as you’re likely to get from ASEAN, especially the strictures delivered by Malaysia and Singapore. Australia joined the fray via the speech by Defence Minister, Kevin Andrews, in private bilaterals and in the trilateral with Japan and the US. Australia has sent its Defence Minister to every Shangri-La Dialogue since its inception in 2001—a record matched only by Japan and the host, Singapore. The routine is well established. What has come on strongly in the last few years is the annual sidelines trilateral between the US Defence Secretary and the Defence Ministers of Australia and Japan. 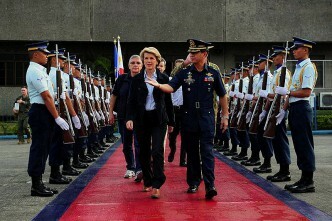 The US Defence Secretary Ashton Carter said that ‘America’s trilateral networks are blossoming’. 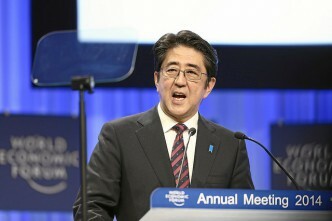 And the first blossom he listed was the trilateral with Japan and Australia. From the moment it took office, the Abbott Government has inserted more iron in the idiom in talking about China’s territorial ambitions, certainly when compared to the cautious restraint of the previous Labor Government. The trilateral process—both Foreign and Defence Minister versions—has been a key venue for developing that idiom. 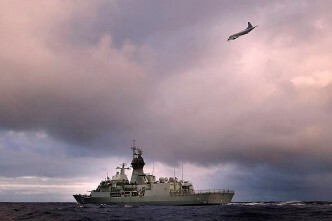 Australia’s rhetoric has shifted beyond promoting freedom of navigation and secure sea lanes to specific warnings to China about altering the status quo. The trilateral poking of China is done by the Foreign and Defence Ministers. The US President and the Prime Ministers of Japan and Australia get to take the trilateral high road. At their trilateral in Brisbane during November 2014, Obama, Abe and Abbott ‘reaffirmed the global reach of their cooperation and the value of comprehensive US engagement in the Asia-Pacific region.’ Not a trace of China baiting to be seen. That’s a job for Defence Ministers. The weekend statement in Singapore on the fifth trilateral meeting of the Defence Ministers of the US, Japan and Australia lined up against China with communique language of strong opposition and serious concern. So this year it isn’t just an admonition directed at ‘claimants’ but specifically to China. The trilateral process can go only so far in coordinating process and language. 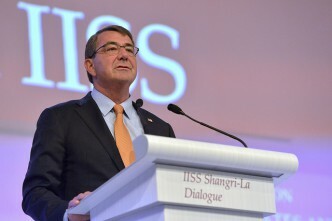 Carter’s announcement in his speech was a new Southeast Asia Maritime Security Initiative, to spend up to $425 million on building maritime capacity in the region. The speech after Carter was made by Japan’s Defence Minister, Gen Nakatani, who had his own announcement. 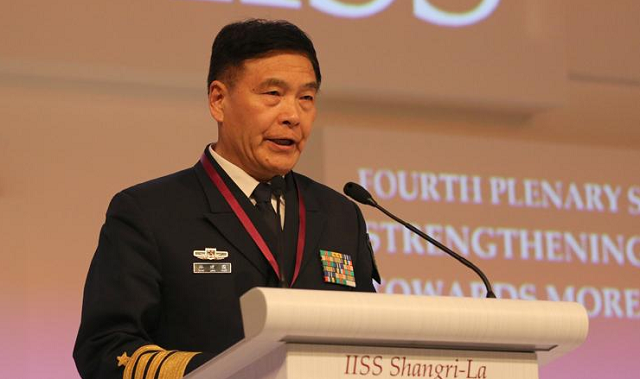 Nakatani proposed what he called a Shangri-La Dialogue Initiative to enhance maritime and aerial security. The US thought balloon bumped into the Japanese thought balloon. Such are the problems of signalling and scoring and seeking agreement at Shangri-La. Graeme Dobell is the ASPI journalist fellow. Image courtesy of Twitter user @SCMP_News.